ASTANA – Astana Opera House presented Pyotr Tchaikovsky’s “Eugene Onegin” staged by Italian director Davide Livermore Feb. 8-9 in the capital. Russian baritone Alexey Isaev and Talgat Mussabayev performed the part of Eugene Onegin, Galina Cheplakova and Aigul Niyazova portrayed the leading role of Tatyana and Medet Chotabayev and Zhan Tapin played Vladimir Lensky. “This work was created by two geniuses – Alexander Pushkin and Pyotr Tchaikovsky. It is a classical masterpiece… Tatyana, who has the most complex character in the story, is undergoing a transformation from a young girl to a high society lady with the one and only love of her life throughout the opera. Despite her feelings, she accepts her fate and stays loyal. I believe that this opera can touch the hearts of the audience,” said Niyazova. Photo credit: Astana Opera House. Livermore believes the opera is an integral part of emotional education for many generations. “After watching the performance, I would like for the viewers to say that this story is relevant today and that it resonates with them and touches their emotions. In this production, we will see Tatyana’s inner world. We will learn how a young girl discovers her womanhood, perfectly aware of what she has lost, what she has gained and discovered in life. All of this happens with a feeling of deep maturity. I would also like the audience’s attention to be focused precisely on the depiction of Tatyana’s inner world,” he said. 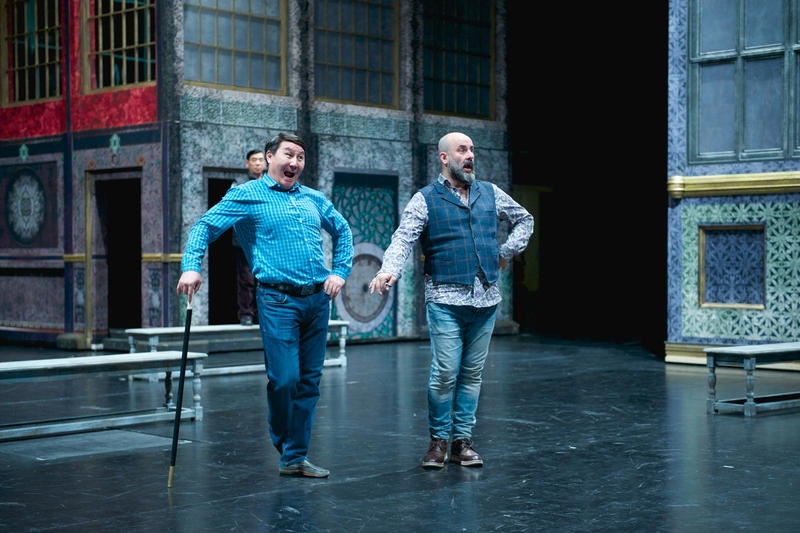 The director was a jury member of Placido Domingo’s Operalia, the world opera competition, and staged Puccini’s “Turandot” at the Astana Opera last year. “At the Astana Opera, superb working conditions are created. It is gratifying that each cultural event is treated here with great reverence. For example, we repeatedly met with Minister Arystanbek Mukhamediuly throughout the staging works and he took an active part in the creative process of preparing the opera ‘Eugene Onegin.’ Moreover, we had wonderful time making music together; the minister is an excellent musician,” he said prior to the premiere. 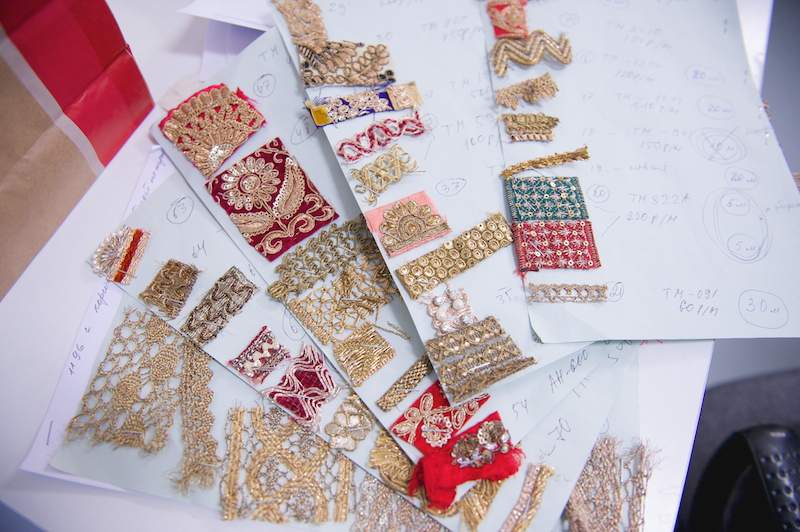 Costume designers Pavel Dragunov and Sofya Tasmagambetova, who worked on the production for the first time, made approximately 250 costumes. Preparing the stage setting took six months. The performance includes video projections, and LED screens with colourful images will be used instead of windows. Animals are also involved in the production. “The effects created by the light designer will be interesting for the audience. The interior is decorated with a huge chandelier and a large, rotating circle with a couple of young people dancing and a large mirror will amaze the viewers. This production differs from many previous ones in that it has many moving decorations,” said design and production department head Victor Carare.